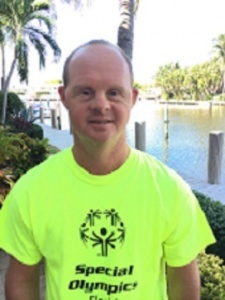 Lee Scharf of Pompano Beach won the gold medal for 1500m open swimming last week at the 2019 Special Olympics World Games in Abu Dhabi, United Arab Emirates. Scharf , who plays for the Deerfield Beach Bulldog Destroyers basketball team, also won a sixth place award for his performance in the 800 meter freestyle competition. 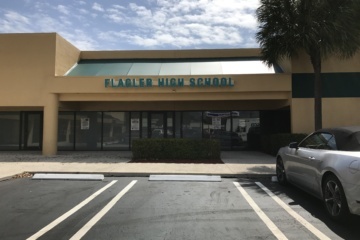 The victorious performance from Scharf came just days before U.S. Education Secretary Betsy Devos proposed a controversial elimination of the federal government’s Special Olympics budget. Grant, 21, from Pembroke Pines, also competed in the 1500 meter open swim and 800 meter freestyle, winning awards for her 4th and 2nd place finishes. Devos proposed the cut in Special Olympics funding while meeting with the House of Representatives budget committee on Tuesday. The proposal met with immediate criticism from both sides of the aisle. “The Special Olympics is not a federal program. It’s a private organization. I love its work, and I have personally supported its mission. Because of its important work, it is able to raise more than $100 million every year,” DeVos said in a statement released on Wednesday. Should Devos and President Trump’s budget takes effect, financial support for Special Olympians like Lee and Gina, will be more dependent on individual donations. If you would like to contribute to the Florida Special Olympics, call (352)243-9536. For more Pompano Beach news and things to do in Deerfield Beach and Pompano Beach read search our website.